Bushy Frostweed (Crocanthemum dumosum). 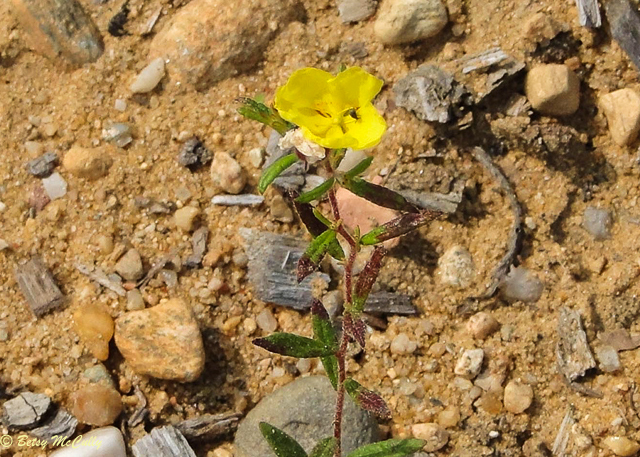 Also called Bushy Rock rose. Cistaceae family. Native. Coastal sandy woodlands, sand plains. Rare endemic on Long Island. Threatened in NYS. Vulnerable. Coastal sandy woodlands, grasslands, sand plains. Hither Woods Preserve, Montauk, Long Island, 2011. On beach edge of woods.